Blue Ridge, Ga. – There is no denying that our area is a hot spot for tourists and the Fannin County Chamber of Commerce gave a 2018 update letting citizens know just how much money our thriving tourist industry is bringing to our area. Last year alone, $39 million was collected in local lodging tax by both the City of Blue Ridge and Fannin County. In recent years Georgia Tech teamed up with the Chamber of Commerce to do a study on our economic impact numbers. According to Hackett the purpose of this study was to determine the amount of dollars spent in our local economy based on the lodging taxes collected. Georgia Tech was able to produce an equation that they felt would portray an accurate number based on percentages of sales in direct comparison with lodging taxes. “Based on their percentages the amount of money that visitors spent directly was $170.5 million dollars,” Hackett said explaining the findings for calendar year 2018 and added that this number is based on overnight visitors alone and does not account for day trippers and our area’s population of second home owners. According to these numbers and based on SPLOST (Special Purpose Local Option Sales Tax) collections last year, overnight visitors made up roughly a third of all retail sales in the county. SPLOST reported a record breaking $555 million is sales last year for Fannin County. Hackett broke down the numbers into a daily average. On average per day lodging brings in $100,795 and visitors spend roughly $484,375. This equates to $39,347 of taxes collected locally. While our county can become crowded due to the visitors, there is a definite positive impact these visitors bring with them. 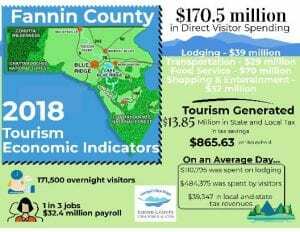 Roughly one-third of the jobs in Fannin County (excluding governmental) are supported by the tourist industry, and all the extra revenue saves residents approximately $865 in taxation per household. Hackett pointed out that in 2001: “At that point in time we had less in retail sales than any county in the four around us.” These counties include Fannin, Glimer, Pickens, and Union. Fast forward to recent years and Fannin County is now leading the way in retail sales and economic growth. A comparison shows that in 2001 retail sales were approximately $150 million and in 2018 retail sales were $555,697,658. With the lodging tax now being split 50/50 between the chamber and the county, Hackett reported that the decrease from the 70 percent that the chamber previously received has not posed any negative effect on the ability to market our area. Post 1 Commissioner Earl Johnson is credited with the idea of investing the funds into public safety, and had pointed out in previous meetings that his reasoning is simply with more people visiting and more events being held in our area there becomes an increased demand for emergency services to be provided. The chamber has recently focused efforts into making the Copper Basin area a desirable place to visit and has teamed up with the University of Georgia Carl Vinson Institute of Government Study to produce an in depth study of McCaysville, Copperhill, and Ducktown. “The Carl Vinson Institute is doing a kind of strategic planning process for McCaysville, Copperhill, and Ducktown….the Copper Basin,” Hackett said of the partnership and added that she is expecting the study to be complete by the end of February. The study and planning will work to make the Copper Basin area a more appealing place to work, live and visit. Its focus is to re-brand the area. Under the name the Copper Basin Renaissance, the partnership with UGA is focusing its campaign on the slogan “Copper Basin. Too Great for One State”. The Fannin County Chamber of Commerce debuted a new website that went live in March of last year. 617,905 users visited the site and of those users 82 percent were new. The new design of the website landed the chamber a prestigious Silver Adrian Award from the Hospitality Sales and Marketing Association International. “To give you an idea of what an honor that is, the Jackson Hole Wyoming website also won a silver,” Hackett said of the accomplishment. 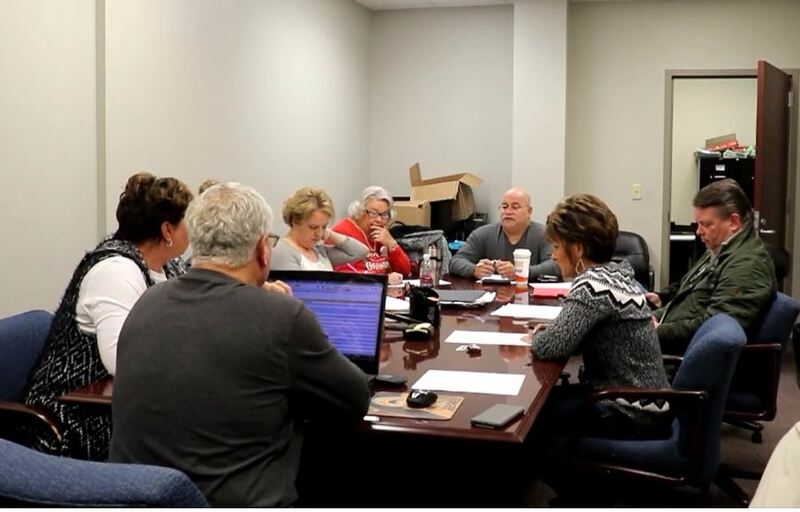 The Fannin County Chamber of Commerce plans to continue efforts in 2019 to once again bring in record numbers to our area and help define Fannin County as a resilient place to visit or to make home. Featured Image: A small sample of the Fannin County Chamber of Commerce new award winning website. Blue Ridge, Ga. – The North Georgia Mountain Crisis Network (NGMCN) is not often highlighted among the nonprofit charities in our community. With the sensitive nature of the services they provide, it is a fine line that the charity must walk in order to financially continue operations and still protect the anonymity of the victims who seek their help. 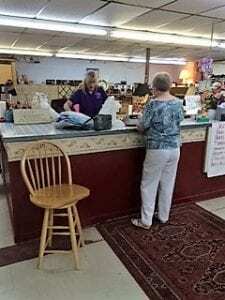 NGMCN has two thrift stores, one located in Blue Ridge and one in McCaysville. Both stores help to provide financial assistance to the charity organization. Started in 1986, the NGMCN is entering its 33 year of service. Sexual Assault. Through NGMCN victims of sexual assault are provided counseling and support services to help navigate them through a very difficult time. Domestic Violence. While NGMCN offers the counseling and services to victims of domestic violence as it does to victims of sexual assault, it also offers shelter to house these victims and their children. Legal Advocacy. NGMCN has a trained staff that will help victims navigate the sometimes daunting legal system. Education Awareness. NGMCN helps to spread the word of domestic and sexual violence through community outreach. This includes working hand in hand with law enforcement, hospitals, and different organizations that provide services to these victims. In 2018, NGMCN housed 129 residents at their shelter. This accounted for 3,173 bed/nights (a measure of occupancy for one person assigned to one bed for one night). Residents of the shelter were also provided with well over 10,000 units of service. “That’s actually sitting across from a survivor and their children within the shelter to be able to make phone calls, to be able to help them with any type of individual support,” NGMCN Executive Director Julie Welch explained the term “units of service”. Outreach clients or those who did not require a shelter stay for last year totaled 158 clients and 8,700 units of service. So far in 2019 the charity has already provided 380 bed/nights, 87 hotline calls, and 600 units of service. Once a victim has stayed at the NGMCN shelter, the services continue even after that person has checked out. The charity works with community services in the area that the victim chooses to move to and helps provide a network of resources. Over $60,000 were provided to those who reached out to NGMCN in 2018. This financial assistance is used when a client leaving a threatening situation has no source of income initially or is needed as short-term emergency funds. 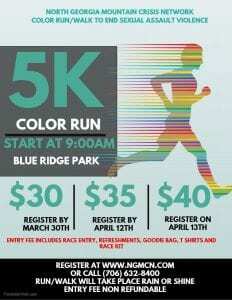 NGMCN will host a 5k run or 1 mile walk on April 13, 2019 in downtown Blue Ridge. There are currently 49 clients in their legal advocacy program and NGMCN is housing 14 people in their 12 bed shelter. “Often times we will have moms that come in that will have small children,” Welch explained the high occupancy. NGMCN serves both men and women who are victims of domestic and sexual violence. They hope by promoting education and awareness in these areas that eventually the cycle of abuse will come to an end. $1,000,000 in savings. Public Works cuts budget and raises productivity. Blue Ridge, Ga. – “I believe that smaller government is better government, but I also believe that in areas where government does play a legitimate role we should demand that it is done better.” Former Governor of Wisconsin, Scott Walker spoke these words that echo true in the thoughts of many Americans across the nation. Here at home, in Fannin County, we are seeing the literal effects of these words when put into action. Zack Ratcliff, Director of Public Works in Fannin County, has not only managed to cut the department’s expenses by close to $1,000,000 in just two years but his management has also led the Public Works department to more than double productivity in many areas. In 2016 the Public Works department had 53 employees with a budget of $1,826,505 in payroll alone. The number of employees dramatically decreased by 2017 to 35. This brought payroll expenditures down to $1,308,744. By 2018 employee total for the department sits at 36 with a payroll of $1,289,868. This alone has brought a little over $500,000 in savings to taxpayers each year. Ratcliff confirmed Helton’s statement by saying that upon becoming the Director of Public Works he has only had one termination in the department. With the department now having roughly two-thirds of the employees held in 2016, one would assume productivity or quality would be lacking, but Public Works has sacrificed neither of these by streamlining the department, and the number of jobs completed each year is actually on the rise. In the last year, roughly 117 miles of road have been restriped, 12 miles of road have been paved, 25 miles of road have been chip and sealed, the Aska Transfer Station also received chip and seal, as well as the Recreation Center parking area, 28 culverts have been installed, 600 road signs have been cleaned and straightened, and 649 new road signs were created for use throughout the county. Ratcliff has also managed to cut costs by strategically coordinating work done throughout the county. By coming up with a well mapped plan for the year, the department has cut time and fuel by focusing on specific areas within the county to complete multiple projects. Along with cutting costs, Ratcliff has added over $85,000 back to the county’s General Fund through selling the department’s older vehicles and equipment. While the payroll is the most dramatic of the savings, other areas have improved in expenditures as well. The Fuel Master system was installed to track fuel use leading to greater accountability, through negotiations with various vendors the county is now receiving 2-10 percent discounts on its bills, and a new uniform provider was found that can provide uniforms at half the cost that the county was previously paying. The 2017 audit showed the initial savings of the now more efficient Public Works department as being $999,333. Blue Ridge, Ga. – “I would like to say at this time, thanks to the public for the donations, and the taxpayers here in the county that are taking care of us,” Fannin County Fire Chief Larry Thomas spoke to the Board of Commissioners (BOC) on Tuesday about the purchase of new equipment for the department. The Fannin County Fire Department will see an upgrade to their life-saving hydraulic extraction tools, better known as the Jaws of Life. An example of Jaws of Life being used for extrication. After researching pricing, the fire department chose to go with Hurst to provide this new equipment. Hurst now provides a battery operated version of this tool that can be operated by a single person. This upgrade will save time for local rescuers who are often put in situations where every minute matters. “Before, in the beginning, way back, it took two people to use a set of jaws,” Thomas said explaining the importance of the equipment upgrade. The total price for three new sets of Jaws of Life would come to approximately $60,000. Thomas explained that his department had already put $17,000 towards this total with the intention of applying another $7,300 in the near future. Although the fire department has enough funds available in the donation account, Thomas stated that they would like to finance the remaining amount of approximately $35,000 as to not deplete all monies currently in the donation account. In order finance this remaining balance, Fannin County would need to “cosign” for the loan, as most banks cannot loan to volunteer groups. Post 1 Commissioner Earl Johnson asked for clarification on the terms of the loan being sought, to which Thomas replied that they would be seeking a three year repayment period. Although the loan terms would be set for three years, Thomas stated, “We’re hoping to pay it off next year” and pointed to the history the department has with paying off any loan debt before the loan fully matures. The three commissioners voted in favor of signing off on a loan for the fire department, and bringing this life saving upgrade to the county. 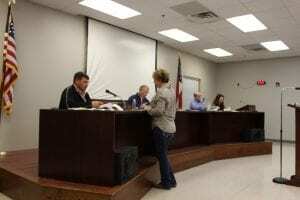 Blue Ridge, Ga. – Talks surrounding the 2019 Tax Assessor budget continued at Tuesday evening’s Board of Commissioner (BOC) meeting, and for the time being a compromise was met between the BOC and the Board of Assessors (BOA). The Board of Commissioners look over numbers for the proposed Tax Assessor budget. A tentative budget of $633,493 was passed for the Tax Assessors department in Dec. of 2018. This budget included $223,000 for a contract with Georgia Mass Appraisal Solutions & Services (GMASS) to help conduct appraisals in Fannin County and to remain in compliance with the state of Georgia. 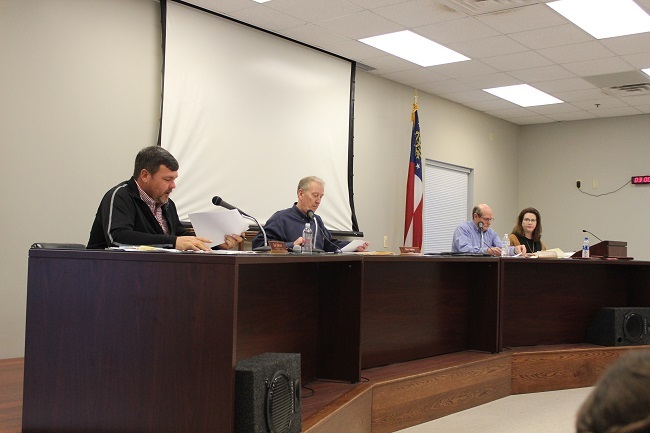 After budget cuts within the department, Chief Appraiser Dawn Cochran presented a counter-proposal to the BOC in the amount of $683,209.22, roughly a $50,000 difference from the already approved budget. The newly requested budget from Cochran only set aside $28,800 for services provided by GMASS. This amount includes two contracts in which the BOA would like to enter with GMASS. The second contract in the amount of $10,500 would be for mapping. Recently, the BOA voted to restructure the GIS (Geographic Information System) department, in an attempt to decrease the overall budget. This move resulted in the loss of an employee. All three county commissioners voted in favor of entering into these two contracts with GMASS. Fannin County Chairman Stan Helton who previously stated, “I was elected to look after the taxpayers dollars and I’m not going to back off of challenging any department if I feel like we’ve got ways to improve and bring greater value to the tax paying citizens of the county. They deserve that and that’s what they’re going to get,” held true to his word. Helton noted that the difference between the initial monies set aside for GMASS assistance and the monies needed for the two contracts would be approximately $194,200. He recommended moving that difference to the departments salaries and benefits without increasing the budget. Cochran and newly appointed BOA chairman Troy Junnier argued that this amount would not be enough to cover all salaries and that further employees would have to be cut. “We’re down from 15 to 11,” Cochran stated of the current number of employees, and went further to say that without the extra $50,000 requested two to three employees could lose employment. Chief Appraiser Dawn Cochran goes over GMASS contracts approved by the BOA. 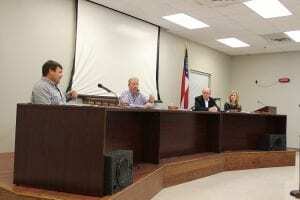 Patterson made a motion to approve the amended budget giving the Tax Assessors office the requested $683,209.22. This motion, however, failed due to a lack of a second. Johnson’s motion to meet halfway with a total budget of $658,493 was seconded by Patterson, and passed with a two to one vote, with Helton against the increase. The Board of Assessors have called a meeting to be held Friday, Jan. 11 at 2 p.m.
Blue Ridge, Ga. – The Board of Assessors (BOA) called a one-on-one meeting with Georgia Mass Appraisal Solutions & Services (GMASS) to discuss the Tax Assessor’s office and the role that GMASS would potentially play in the future. Members of the BOA acknowledged that what Reese was saying was true and that they value the ongoing working relationship between GMASS and the Fannin County Tax Assessors. The Board of Assessors sits down with representatives from GMASS to work out future plans for the Tax Assessor’s office. The Board of Commissioners did make initial contact with GMASS requesting a bid for appraisal and maintenance services. This contact came about due to an inability for an agreement to be made regarding the budget of the Tax Assessor’s office. Cochran explained that when Fannin County came under consent from the state of Georgia for not complying with regulations that the county opted then to fully staff the department instead of using GMASS at that time. Cochran acknowledged that the department has fallen a bit behind: “The Board of Assessors choose quality over quantity. So it has taken a little longer than expected.” She reasoned that the blame fell on the amount of work it took to come into compliance and the set back of her department not having enough vehicles to do this work. Eventually the discussion veered toward what GMASS is able to provide the county. Cochran questioned GMASS of several areas including insurance, workload, and customer service. Through this series of questions GMASS answered that they would be responsible for field appraisals and would complete one third of the county’s parcels each year keeping in compliance with state law. Reece answered all questions leaving little doubt that GMASS is fully capable of completing their obligation as well as working side by side with the Tax Assessor’s office. GMASS would essentially streamline the appraisal process, and Reece explained that this is because GMASS has staff to focus in specific areas. This is in contrast to the current staffing in most counties where appraisers must multitask in several areas. Concern was expressed about customer service being provided, to which Reece replied that a GMASS representative would be happy to meet in person or discuss via phone with any taxpayer who has a question about their appraisal. No action was taken at this meeting by the BOA regarding staffing of the office. Discussions are expected to continue at the next meeting to be held on Thursday, Dec. 13. The BOA and Board of Commissioners previously agreed to come to terms with a budget for 2019 by the end of this year.